Get hands-on with history in this fully interactive manor house. Lucy Dimbylow visited with her children Katie, six, and Tom, 11, and nephews Archie, 12, and Jack, nine. Most parents know that visiting a period property with kids can be a trial: little fingers just can’t resist reaching over the red velvet ropes to touch the exhibits, despite all the signs imploring them not to. Avebury Manor is entirely different. The 16th-century manor was redeveloped in 2011 in a collaboration between the National Trust and the BBC, and featured in the TV series The Manor Reborn. 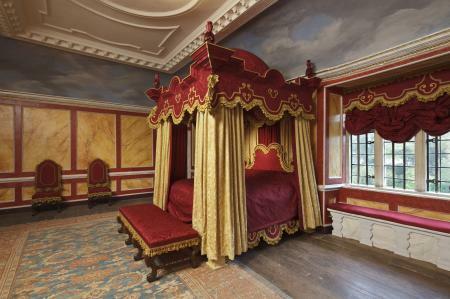 The rooms have been individually designed to replicate living conditions in five periods: Tudor, Queen Anne, Georgian, Victorian and 20th Century. 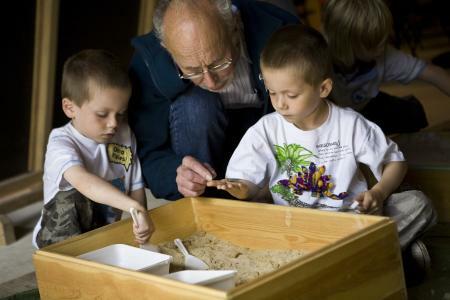 And best of all, nothing is out of bounds: children can get hands-on with all the exhibits, trying their hand at billiards, hand-grinding coffee in the kitchen and even crawling beneath the covers of the beds. The Manor is situated in the Wiltshire village of Avebury, famous for the largest Neolithic stone circles in Europe. There is much speculation about the purpose of the standing stones and how they were assembled, and unlike at the nearby Stonehenge, children can get right up close to them. Avebury Manor has brilliant age-differentiated children’s trails, where each child is given a neck lanyard holding a series of laminated cards with activities to do as they make their way around the house. Younger children are challenged to match the pictures on their cards to the details they see as they explore the rooms. There are also small knitted bees hidden in every room: a great way to encourage kids to slow down and look at the property in detail. The early 20th-century kitchen was definitely the highlight of the house for Year Two Katie. 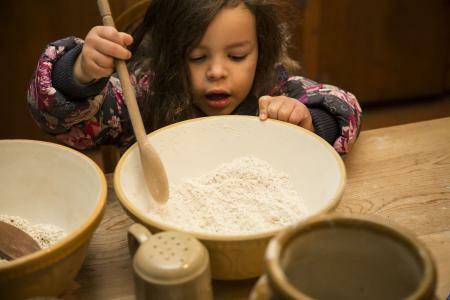 She loved finding out how kitchens worked in ‘the olden days,’ stirring flour, grinding coffee beans and using old-fashioned scales to weigh freshly picked produce from the kitchen garden: an impromptu maths lesson. She also enjoyed handling objects from the past, like binoculars, pinhole cameras and antique teddy bears, and comparing them to modern-day versions – not to mention the novelty of ‘going to sleep’ in the Queen’s four-poster bed! The KS2 activity trail was well tailored to our boys’ ages, with more detailed questions to answer as they went round the house. They spent ages in the billiards room, trying to pot the snooker balls and working out how to strike them at the right angles for success. They also loved trying out the springy chair in the Georgian dining room, used by horse riders to strengthen their thigh muscles before getting in the saddle, and looking at gadgets from yesteryear, thinking about how technology has changed over the centuries. Listening to the gramophone in the Georgian dining room: our children, part of the MP3 and iPhone generation, were fascinated by the workings of the antique record player. 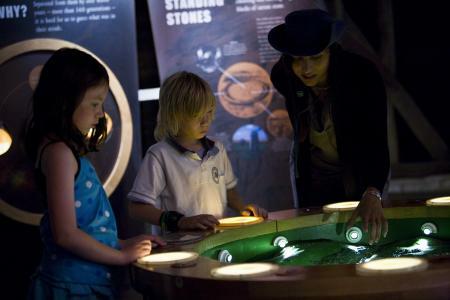 While you’re there, make time to pop into the neighbouring Alexander Keiller Museum, which explores the history of the stone circles with interactive exhibits and a great children’s area where they can try replica prehistoric clothing and have a go at curating their own museum in a wooden crate, choosing from a treasure trove of historical items. In keeping with the hands-on nature of the Manor, there’s a good programme of children’s events taking place during the school holidays, ranging from apple pressing at harvest time, spooky mask making for Halloween, and a ‘make a reindeer’ activity for the Christmas hols (small additional charges may apply). Get a taste of the Victorian era by taking afternoon tea in the elegant period surroundings of the Manor’s tea room, with its enchanting atmosphere and mouth-watering selection of freshly made cakes. If your child can’t be trusted with vintage china, Circles café is a less fussy option, serving a range of hot and cold drinks, sandwiches and soups and cakes. Avebury also has a village shop where you can buy snacks and drinks, and a neighbouring ice cream counter. There’s ample space for picnicking, too: in the summer months, picnic blankets and chairs are provided in the Manor’s Church Garden. Alternatively, bring your own rug and picnic next to the standing stones, which date from over 4,000 years ago. There’s a large pay and display car park which is free to National Trust and English Heritage members. You can also get to Avebury by bus, with a £1 discount on entry if you show your ticket. Adults from £7.20; children from £3.35; under-fives free. A family ticket for four costs from £17.75. Prices increase in the spring and summer. National Trust members free; English Heritage members are admitted to the museum free, but not the Manor. There’s a well-stocked National Trust shop selling the usual range of souvenirs at pocket money prices (and as you don’t exit through the shop, pester power is reduced!). Or if your child fancies something a little different, visit the Henge Shop, which sells treasures like gemstone bracelets, semi-precious stones and minerals and replica fossils. 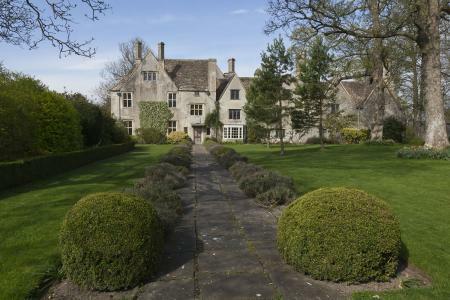 You can watch clips about the restoration of Avebury Manor on the BBC website. You can also find out about the history of the stone circles with English Heritage. Is technology changing the way children learn?